Even though housing starts have slumped, remodeling demand has remained high. 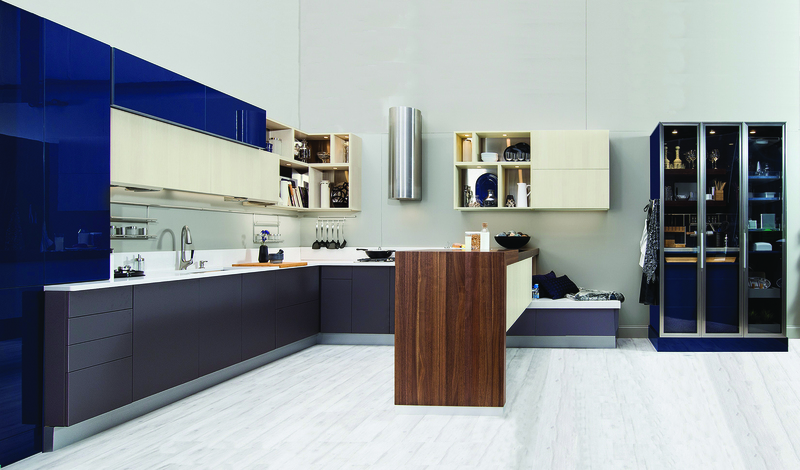 Tru-Wood Cabinets Inc., a manufacturer of kitchen cabinets, has taken advantage of this strong market and has seen sales increase from $37 million in 2005 to $48.2 million in 2006. According to Buddy Sharp of Tru-Wood Cabinets, company sales have increased because it introduced new product lines and uses an all-wood product. Tru-Wood has also expanded with new finishing facilities, and a new 184,000-square-foot plant. According to Sharp, the new plant will be manufacturing all of their doors at that time plus they're going to be manufacturing for other companies. Tru-Wood is not looking to expand just by purchasing a new plant. Over the past three years, Tru-Wood has also supported its expansion and growth with the acquisition of approximately $7 million worth of equipment for both its new and existing plant. This includes machines for its finishing processing plants and all of its CNC machines. According to Sharp, the company has so many items from its growth that it still has machines that have yet to be uncrated. "It doesn't affect me like it does a lot of the other cabinet manufacturers because I make a different type of product," Sharp says, "but (they are) bringing some of these items in from China at below material cost for a lot of the cabinet manufacturers." This isn't to say that Tru-Wood is opposed to importing materials from foreign countries, however. Some of its materials, like plywood for example, are imported from Russia or Estonia. 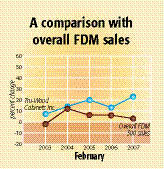 So far in 2007, Tru-Wood sales have remained strong because of more demand from higher-end projects. 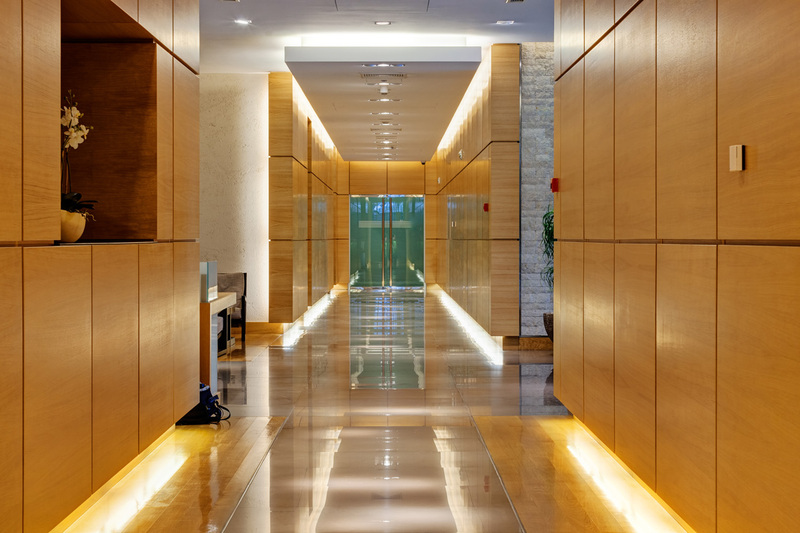 As for the cabinet industry as a whole, Sharp thinks that for the next year to year-and-a-half, the market will be pretty uneventful, primarily due to the slow housing market. Fewer new homes mean fewer new cabinets. The outlook for Tru-Wood is a promising one. Their increased sales are projected to remain constant, and the addition of their new door plant and investment in machinery give the message that Tru-Wood expects to continue to grow.